Dave Neuhoff, Joseph E. and Anne P. Rowe Professor of Electrical Engineering, has been honored with a 2015 Rackham Distinguished Graduate Mentor Award for his sustained efforts as advisor, teacher, advocate, sponsor, and role model to doctoral students. He received the award with other faculty on April 13, presented by Graduate School Dean Janet Weiss. Prof. Neuhoff’s influence has been felt both within his own graduate research group, and across the entire department. Dave Neuhoff is an internationally recognized expert in information theory, source coding and image processing. He is well known for his contributions to source coding, especially his development of universal source coding, causal source coding and high-resolution quantization theory, and to image processing, including his development of image compression methods, halftoning methods for laser printers and texture similarity metrics. In 2013, Prof. Neuhoff reinvigorated the Communications and Signal Processing Seminar Series in order to provide an opportunity for broad intellectual exchange among students, faculty, and invited speakers. Throughout his career at Michigan, Prof. Neuhoff has demonstrated key leadership in graduate as well as undergraduate education. When the EECS Department was formed in 1984 by adding the CCS Department in LSA and the CICE graduate program to the ECE Department, Prof. Neuhoff was a leader in establishing its graduate programs. More recently, as Chair of the Graduate Affairs Committee in ECE, he oversaw a dedicated effort to improve the academic experience of ECE graduate students. Perhaps the most important changes he shepherded were the department’s move to a fully-funded model for doctoral students, and the establishment of an annual review process for graduate students. ECE graduate students happily embraced both improvements. At the master’s level, Prof. Neuhoff revamped and initiated programs for a combined undergraduate/master’s degree program to encourage Michigan students to get an advanced degree in an abbreviated period of time. Called the Sequential Graduate/Undergraduate Studies (SGUS) Program at Michigan, and the Joint Institute-SGUS Program for students enrolled at the U-M-Shanghai Jiao Tong University in China, these programs have benefited many students who otherwise may not have chosen to pursue an advanced degree. 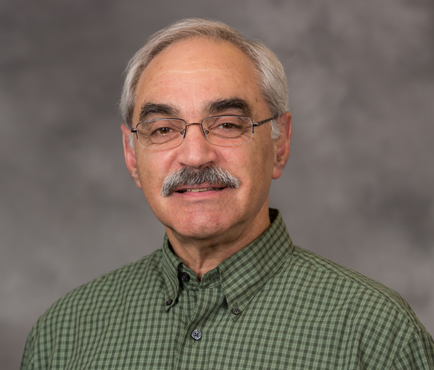 At the undergraduate level, Prof. Neuhoff lead the restructuring of the electrical engineering undergraduate program in the 1990’s, which served as a model for the restructuring of all College of Engineering undergraduate programs. Prof. Neuhoff is a Fellow of IEEE and served as president of the IEEE Information Theory Society in 2006. He has received the IEEE Information Theory Society Service Award for his leadership in bringing statues of Claude Shannon (UM alumnus and father of information theory) to a number of locations, the College of Engineering (COE) 1938E Award, the CoE Service Excellence Award, and the CoE Stephen S. Atwood Award.